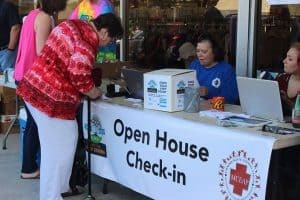 The Community Foundation of the New River Valley held its 4th Annual GiveBigNRV Online Giving Day on Wednesday, April 26th. Over 100 NRV nonprofit organizations participated in the giving day event and competed for $14,000 in additional grants from the CFNRV. The CFNRV created the GiveBigNRV website in 2014 in honor of its twentieth anniversary to encourage charitable giving and draw attention to the many nonprofit organizations serving our region. Donors can visit the website cfnrv.givebig.org to make a secure, online gift to their favorite nonprofit organization on April 26th to help organizations compete for prizes or donors can give ANY DAY of the year through this site. 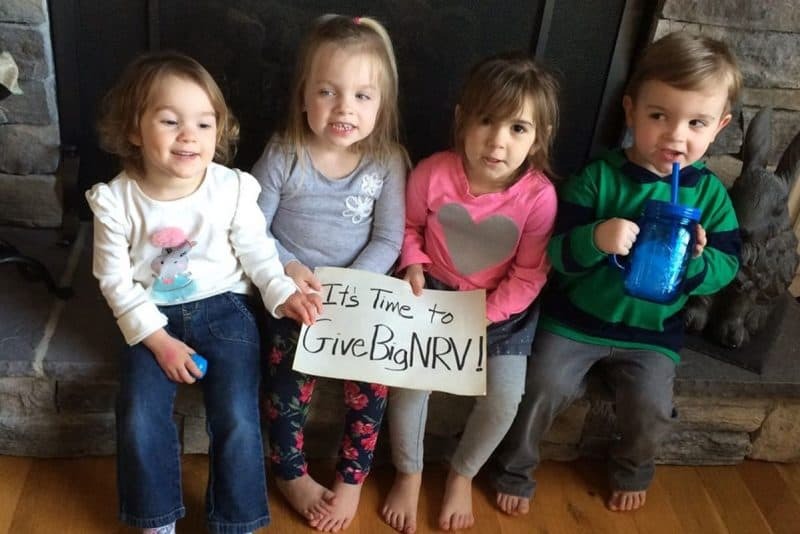 In its first year in 2014, GiveBigNRV raised $39,863 and this year $220,192 was raised in 24 hours. This year, there were more organizations participating this year and more contributions than past years. 1,794 donors gave to 115 causes. Montgomery and Floyd County donors and organizations were the most active. There was also a welcome increase in gifts to the Fund for the NRV, about $16,000, plus the $10,000 match from the National Bank. Some additional contributions were made to Community Foundation endowed funds and to the administrative endowment. Critical to the success of the giving day are business sponsors who underwrite giving day grants awarded to participating organizations. This year, the CFNRV awarded a total of $14,000 in grants, including $2,000 to the organization that raises the most money on April 26th, and $3,000 to the organization that has the most attendees at a GiveBigNRV event. Pulaski – The Friends of Claytor Lake, Inc. Thanks to this year’s sponsors: National Bank, Union First Bank and Trust, JSW Financial, Floyd Event Center, Brown Edwards, Virginia Tech Foundation, Kollmorgen, Skyline National Bank, Pearis Mercintile, Cowan Perry, Avellinos, Vintage Cellar, AARP, The Palisades Restaurant, Inn at the Riverbend, Original Frameworks, New River Valley Magazine, Thompson and Litton, Thompson and Griffith, and Cumulus Radio. Information about becoming a GiveBigNRV sponsor and a list of 2017 sponsors are available at cfnrv.givebig.org. 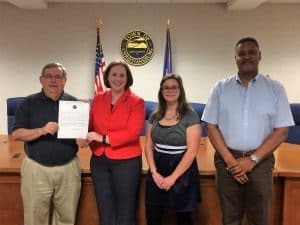 The Town of Christiansburg declares April 26th as an official giving day! MCEAP holds a successful open house and wins the 2016 GiveBigNRV giving day event grant. 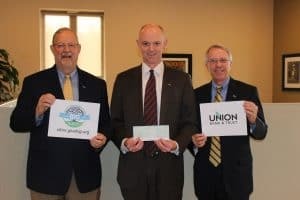 Thanks to Union Bank & Trust for being a longtime supporter of the CFNRV and a GiveBigNRV sponsor every year since we started in 2014!